Sharktopus vs. Pteracuda is the sequel to Sharktopus. There is no plot. Otherwise, the title is pretty self-explanatory. First of all, if anyone knows where the above image came from, can you please let me know? 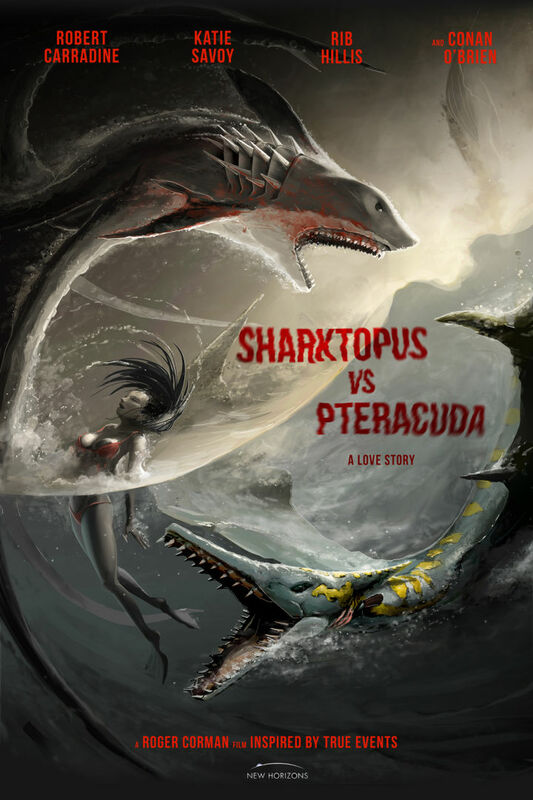 I suspect it’s not official, because it’s pretty awesome, and makes me wish that Sharktopus vs. Pteracuda had been an anime. I can’t really bring myself to critique this movie. Yes, it’s stupid; yes, the acting is bad (except for Akiro Endo and Tony Evangelista, who I actually think aren’t half bad); and, yes, the CGI is terrible. It’s a SyFy movie, so these things are all a given. Was I entertained, though? Hell yeah. I might feel a little ashamed for justifying SyFy’s habit of releasing sub-par movies every other day, but they know what their niche is, and they know how to do it, uh…as only SyFy does? I can’t really bring myself to say they do it “well,” after all. If you watch Sharktopus vs. Pteracuda, you’ll get exactly what you deserve expect.